Will Thorp reads this suspenseful story about a sentient house, a ravenous beast and a family in danger Tiermann's World: a planet covered in wintry woods and roamed by sabre-toothed tigers and other savage beasts. 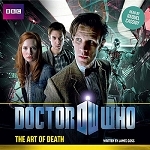 The Doctor is here to warn Professor Tiermann, his wife and their son that a terrible danger is on its way. The Tiermanns live in luxury, in a fantastic, futuristic, fully-automated Dreamhome, under an impenetrable force shield. But that won't protect them from the Voracious Craw. A huge and hungry alien creature is heading remorselessly towards their home. When it arrives everything will be devoured. Can they get away in time? 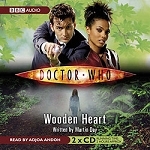 With the force shield cracking up, and the Dreamhome itself deciding who should or should not leave, things are looking desperate...Featuring the Doctor and Martha as played by David Tennant and Freema Agyeman in the hit series from BBC Television.